The testing phase is over for six of the seven Atlantic City casinos that are offering online gambling to those within New Jersey, but several issues remain. Still to be worked out completely are payment processing functions, as well as identity and geolocation verification. Banks such as Wells Fargo and Bank of America are reportedly not facilitating transactions and some players within the state are being misidentified as out-of-staters. 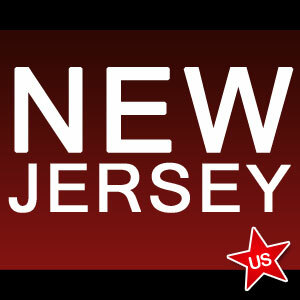 But those issues were deemed by regulators at the New Jersey Division of Gaming Enforcement (DGE) as to not be widespread enough to prevent the state from transitioning from soft to hard launch in its online gambling regime. That is, all but one of the licensed casinos, as Golden Nugget took it upon itself after meeting with gaming officials to continue testing until its Internet gambling offerings are found to be satisfactory. The six casinos that commenced accepting real-money wagers from the general public in New Jersey yesterday morning are Bally’s, Caesars, Trump Taj Mahal, Borgata, Trump Plaza and the Tropicana. Early indications are that the most popular online poker sites are those operated by WSOP and PartyPoker. The industry will be watching intently to see how many of the state’s nine million residents will log onto the Internet to gamble legally. And whether or not regulation will mean decreased attendance at the brick and mortar Atlantic City casinos. Nevada and Delaware have both been under the microscope already, but their tiny populations are considered not enough to properly gauge the effects of online poker and gambling to the land-based establishments. Some of those watching with heightened interest include officials from Pennsylvania, Illinois, Mississippi and California. Lawmakers from those states are said to be considering online gaming legislation of their own and New Jersey will seemingly provide a litmus test as to whether Internet action will actually generate the considerable revenue that some studies indicate. Over 10,000 people have signed up at the more than two dozen gambling sites in New Jersey, the Press of Atlantic City reported. Although some have been unable to log on and/or deposit via credit cards, DGE Director David Rebuck considers those issues more of a challenge to operators to work out the initial failings rather than regulatory problems. Those concerns are expected to be worked out in due course as both the payment processing firms and geolocation service providers that have teamed with the casinos aim to refine and improve their operations so that all is eventually running smoothly. And once that happens sometime in 2014, it is highly likely that other states will also approve online gambling regulations and Internet gaming will slowly spread throughout much of the U.S.